Children receiving treatment for brain tumors (such as chemotherapy, radiation and surgery) often experience neurodevelopmental challenges after tumor-directed treatment has concluded. These children may have trouble with decreased processing speed, attention, memory and general executive functioning, all of which can affect them academically and socially. 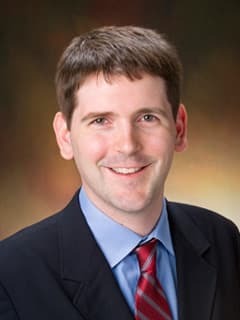 Matthew C. Hocking, PhD, and researchers at the Center for Childhood Cancer Research are working to identify the basic predictors of how well children function socially over time after they have finished tumor-directed treatment. One longitudinal study uses different assessment tools to measure different domains potentially relevant to social functioning, including neurocognitive functioning, family functioning and survivor processing of social information. Specifically, these tools assess how well survivors are able to understand the perspectives of others, how well they can recognize facial expressions, how well they can interpret social influences, and how well they're able to handle different hypothetical social dilemmas. Pediatric brain tumor survivors will be compared with survivors of non-central nervous system tumors in order to determine the influence of treatments on neurocognitive and social functioning. The results of this study will enhance our understanding of how much post-treatment neurocognitive functioning contributes to the social functioning of pediatric brain tumor survivors.